Our Lady of Grace is taking part in Visible Learning Plus Training through Corwin. It’s a three year project, and we’re only in the first year, but I’m already finding that the training is having an impact on how I teach learners. 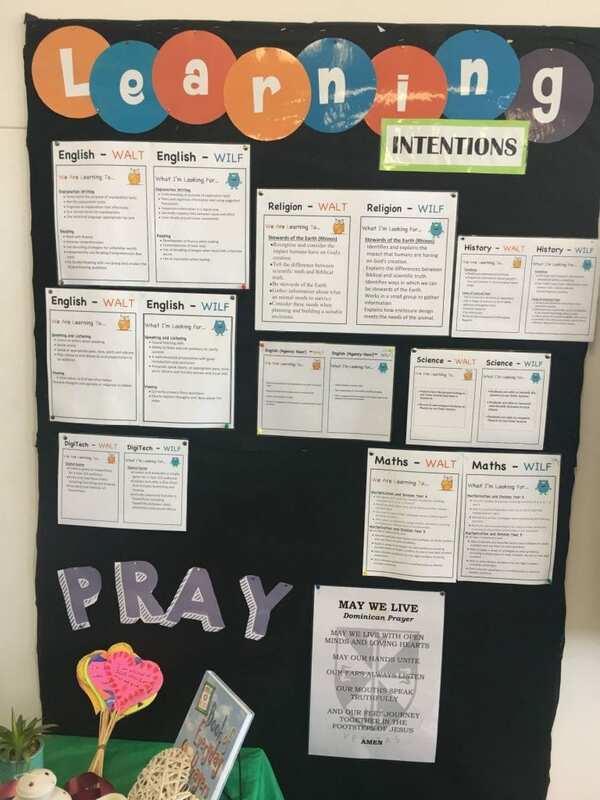 I already use Learning Intentions for all of my units and lessons, and these Learning Intentions – in the form of WALT (We Are Learning To) and WILF (What I’m Looking For) are on display both in the classroom, and in my Class OneNote. 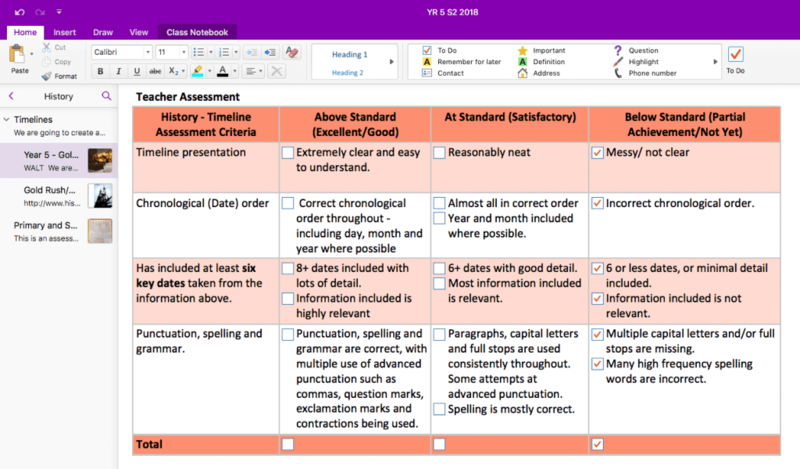 I also use rubrics in all assessment pieces – so learners can read exactly how to get a good grade. 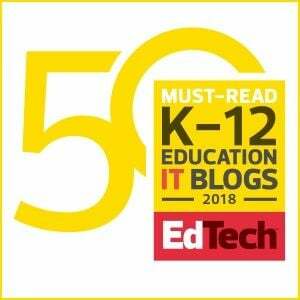 I explicitly teach how to read and use rubrics, and the checkboxes in OneNote mean that the learners actually self assess as they go – ticking the boxes based on where they believe they sit. I check all of the boxes in the ‘Not Yet’ section, and they move them up as they go along. But, it was during one of the early Visible Learning Plus training days that I had an ‘ah-ha’ moment. 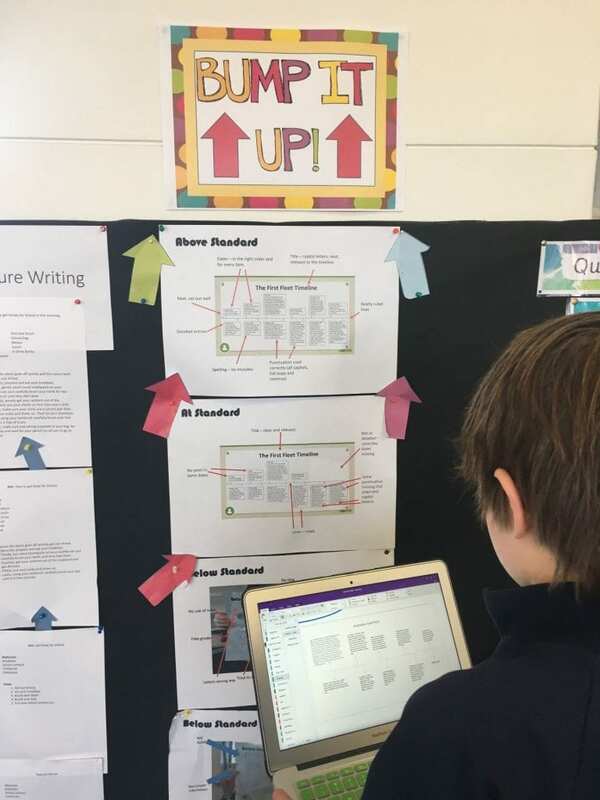 Gilbert (our trainer – Twitter account here) mentioned ‘Bump It Up’ walls – particularly for Junior Primary students, who can’t necessarily read and understand rubrics yet. But, many of my learners are visual learners – how powerful would a Bump It Up wall combined with a rubric be?!?! 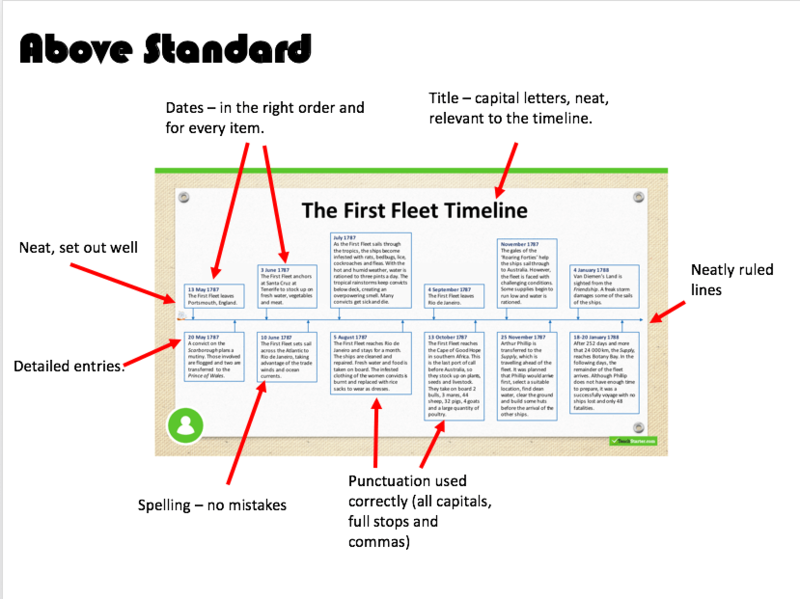 For the TimeLine Bump It Up, I began with a timeline about The First Fleet that I found on TeachStarter. (I have a membership). 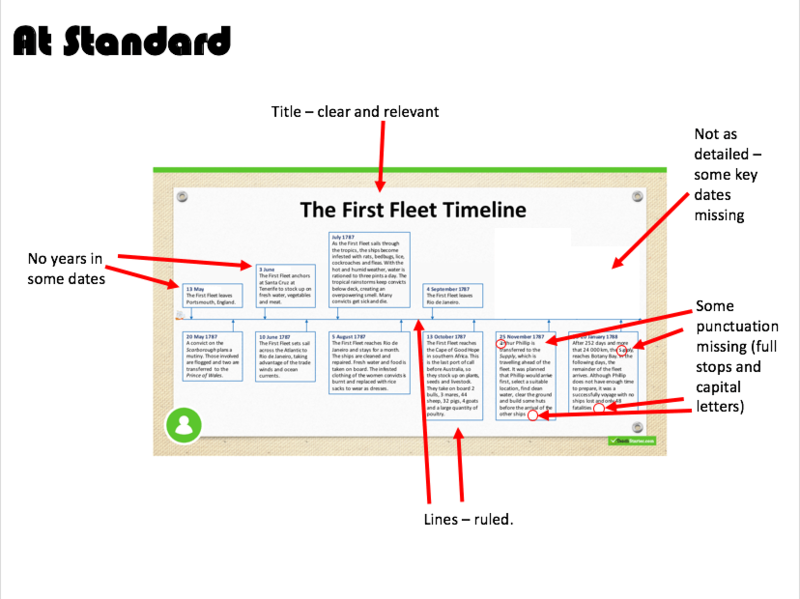 I copied the timeline onto a PowerPoint document, and added ‘Above Standard’ to one page, with a duplicate slide titled ‘At Standard’ on a second page. The third page I left blank, apart form the words ‘Below Standard’ placed in the top corner. I then printed multiple copies in A3 size, and the learners and I got to work. First, they were divided into groups, and asked to identify all of the things that made the Above Standard Timeline above standard. They were then asked to CHANGE the timeline on the second page to make it only At Standard. Finally, I asked them to create a Below Standard Timeline. I’ve never heard so much giggling from a class of Year 5s in my life! 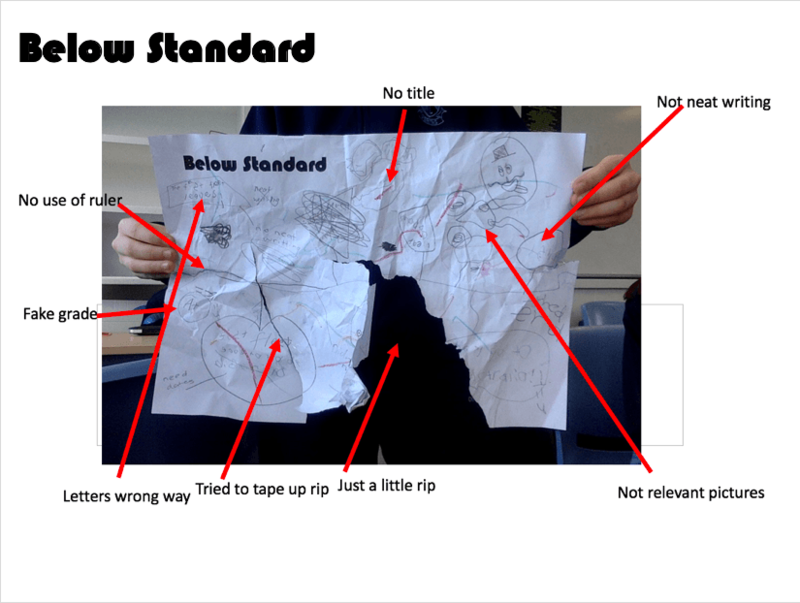 They thoroughly enjoyed creating a below standard timeline, and fell over each other to create the worst possible piece of work! Once they’d regained their composure, I gathered them together, and we collated their thoughts onto my original PowerPoint. I demonstrated how to use the simple tools of PowerPoint to add text and arrows to the page. 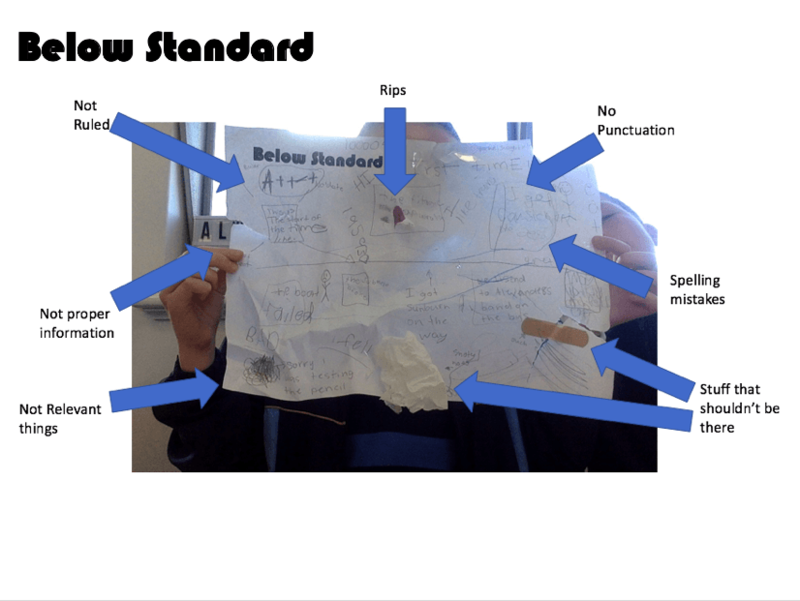 Then, the students went back to their groups, took a photo of their Below Standard timelines and added text and photos, before sending the pages to me. Here are some of them below. before walking away to fix the situation. Heart filled! Of course, I can’t have all subject areas up at the same time – I don’t have enough wall space! 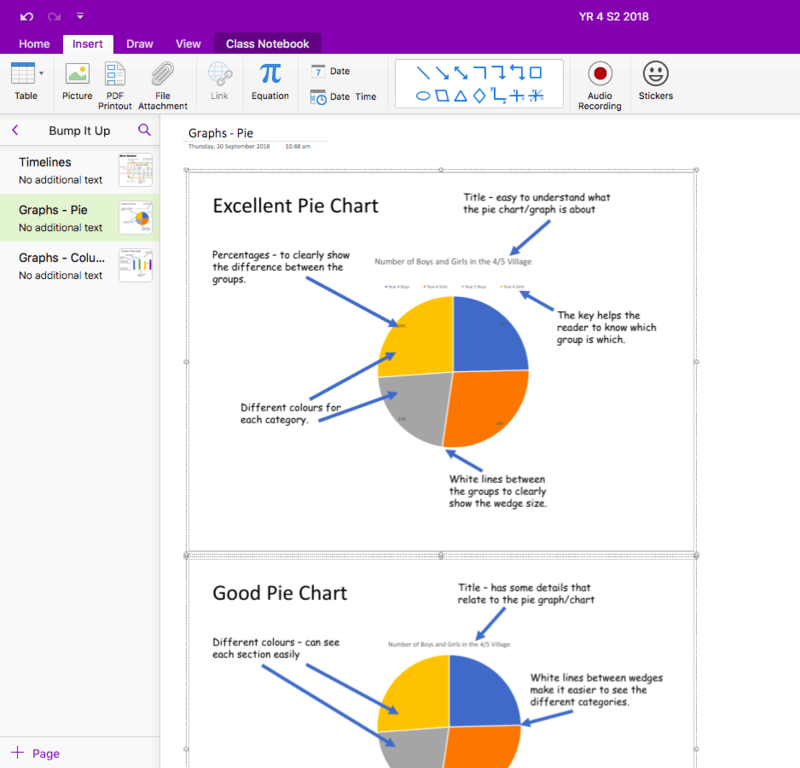 So, I did what I always do, and had OneNote come to the rescue. I created a new Section, called it ‘Bump It Up’ in the Content Library of the Class OneNote, and now I add the examples as we create them. 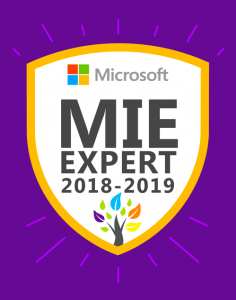 That’s been really useful, because not only will I have them in a central location for next year, but the learners can go back and refer to them as they need to. 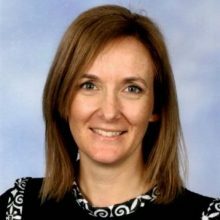 This is particularly useful for items such as timelines and graphs, which are integrated across various areas of the curriculum. It did take most of a lesson to create the Bump It Up wall WITH the learners, so it’s not something that I can do all of the time. However, I think that it’s worthwhile doing it like that whenever I can, because it’s so much more powerful when learners are involved in the process, not just left with the outcome. I also ran a shortened version of the Timeline activity with the School Board, so that they could really understand how the Bump It Up idea works. They took it so seriously, and got rather competitive about the whole process! They said that they enjoyed the experience, and it added to their understanding. I think that in future though, I’d better bring a prize for the team that finds the most relevant points – they were disappointed that I didn’t have one!